US-backed Syrian Democratic Forces have announced the capture of Raqqa from so called Islamic State (ISIS) fighters — and while Coalition officials say small pockets of resistance remain, it is now possible to assess the significant civilian toll of the four month battle. Some 200,000 civilians by some estimates were in the city when operations to dislodge ISIS began on June 6th. Though the SDF and Coalition appeared at times to give conflicting instructions to civilians, most were able to flee – including several thousand during the last week of fighting, following an agreement that also saw the surrender and evacuation of around 275 ISIS fighters. But among those who were trapped at various points since June, Airwars estimates that at least 1,300 civilians likely died as a result of Coalition strikes (more than 3.200 such deaths have been alleged in total.). At least 700 victims have so far been locally named. Some were hit in their homes, some as they fled or reportedly tried to retrieve bodies. Throughout the battle, as in Mosul, ISIS put civilians in incredible danger, employing them as human shields to ward off fire — or worse, ensure their deaths. Overall, local monitors say at least 1,800 civilians were killed in the fighting. Fadel Abdul Ghany, Director of the Syrian Network for Human Rights, said his researchers estimated a civilian death toll in Raqqa since June of 1,854, of which 1,058 were the responsibility of Coalition forces. According to the Network’s estimates, ISIS was responsible for 311 deaths, and SDF ground forces for 191 civilian fatalities. Other monitoring groups arrived at similar tolls: Raqqa is Being Slaughtered Silently reported that at least 1,873 civilians were killed overall. To date, Coalition investigators have conceded just five likely deaths tied to their attacks in Raqqa between June 6th and mid-July, according to monthly reports. Asked about what it viewed as a more realistic total for the number of civilians killed by Coalition actions, the Public Affairs Office directed Airwars to those monthly reports, and said another covering September would be released shortly. In Mosul, the Coalition and American authorities have said the job of counting dead civilians — killed in any manner — fell to the government of Iraq. In Raqqa, the city is occupied by a Coalition-backed militia and not a national entity. No one appears to be tracking the total civilian toll — no one, except monitoring groups. “We have no reliable statistics on the overall number of civilians killed in Raqqah since June,” said a Coalition spokesperson. The battery of Raqqa was so ferocious that on average during the entire month of August, one bomb, missile or shell was fired into the city every eight minutes. In September, the last full month of fighting and when ISIS-held territory never made up more than a quarter of the city’s area, some 4,570 munitions were fired by the Coalition. Since June, an estimated 20,000 munitions were fired in support of Coalition operations at Raqqa. Images captured by journalists in the final days of the assault show show a city in ruins. UN officials have been cited as saying that as much as 80 per cent of Raqqa city is now uninhabitable. The civilian toll in Raqqa from airstrikes extends back through years of Coalition, Russian and regime airstrikes. US and allied aircraft first bombed ISIS positions in the city on September 23rd 2014, with a steady trickle of casualties reported in the following months. The numbers of civilians killed then escalated in March 2017, as SDF fighters sought to besiege the city before eventually fighting inside its confines. From the start of March through June 6th, an additional 767 or more civilians in Raqqa governorate are assessed by Airwars as likely killed by Coalition strikes — bringing the estimated toll from the campaign to above 2,000. This is higher than the number of civilian deaths considered likely the responsibility of Coalition strikes during the campaign to capture Mosul, a city several times larger. It must be noted that in Mosul reports were often contradictory and attribution difficult, and therefore “likely” Coalition incidents were proportionally fewer. In Raqqa, when a bomb or artillery shell fell it almost certainly originated with the Coalition. There were several particularly deadly incidents in the lead up to operations inside the city itself. In a recent report, investigators at Human Rights Watch profiled two such events: the bombing of an abandoned school used to house displaced Syrians on March 20th, and an attack that hit a market and baker two days later on March 22nd. Both incidents took place at Tabqa, to the west of Raqqa and near where a Coalition friendly fire incident would soon after claim the lives of 18 SDF members, raising questions about the accuracy of air and artillery strikes, and the intelligence used to plan them. Between the two March attacks, Human Rights Watch recorded the names of 84 civilians identified by locals and relatives as killed. Among them were 30 children. After the Coalition’s commander initially brushed aside the school bombing, calling it a “clean strike”, internal investigators determined that no civilians were killed — an assessment the Coalition has stuck by even in the face of subsequent findings. A separate investigation undertaken by a UN commission of inquiry has cited the school incident as one of the war’s deadliest, and said it took place at night, while most were sleeping. Those deadly strikes set the tone for a dramatic increase in civilian casualties over the next half year. They also coincided with a new anti-ISIS plan, delivered by US Defense Secretary Mattis at the end of February to President Trump. Mattis would later describe the new US approach as one of “annihilation” — surrounding ISIS areas and not allowing any foreign fighters to escape. (Across Iraq and Syria, reported civilian deaths rose six-fold in the month after the plan was delivered). Yet Raqqa was ultimately taken after an agreement between the SDF, local tribal leaders and ISIS that allowed several hundred fighters to surrender in exchange for the release of thousands of trapped civilians. 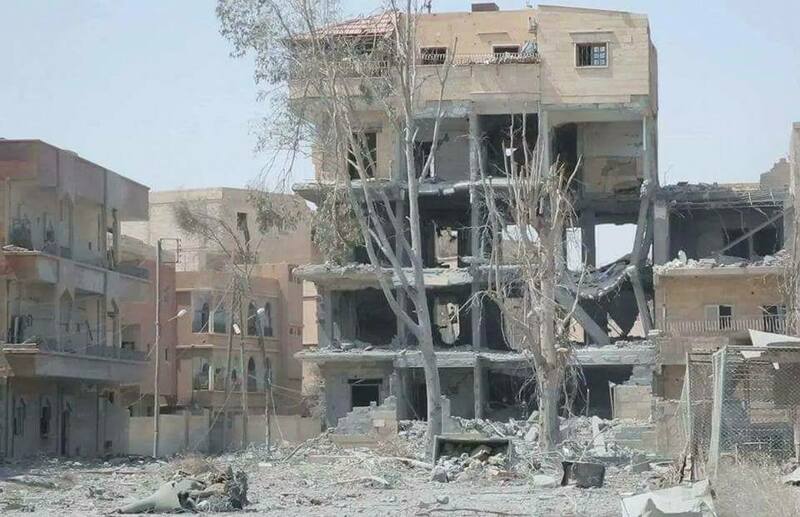 “After destroying most of the city, the Coalition has shown no interest in helping locals save what’s left of civilians,” wrote analyst Hassan Hassan on October 14th, lamenting that evacuation arrangements for Raqqa weren’t considered much earlier. As noted before, after destroying most of the city, the Coalition has shown no interest in helping locals save what’s left of civilians. A missed opportunity to *actively* demonstrate interest beyond dropping precision bombs. In March alone, Airwars recorded at least 275 civilian deaths likely attributable to Coalition airstrikes or artillery — more than six times as many as were tracked in February. This occurred in spite of a drop in the number of targets hit, suggesting more civilian deaths with each US-led raid. In April, Airwars researchers estimated that at least 215 civilians were killed by Coalition strikes in Raqqa governorate. In May, that figure was 283. In June, when the offensive inside the city began, civilian deaths due to Coalition activities in Syria hit a new record, rising by nearly 50%. In Raqqa itself during the month, Airwars estimated that at least 335 civilians had been killed by the alliance’s bombs or artillery. “In the many months that forces have participated in the battle for Raqqa, it is the civilians who have paid the highest cost,” a member of the monitoring group Raqqa of Being Slaughtered Silently told Airwars shortly before SDF fighters declared the city captured. 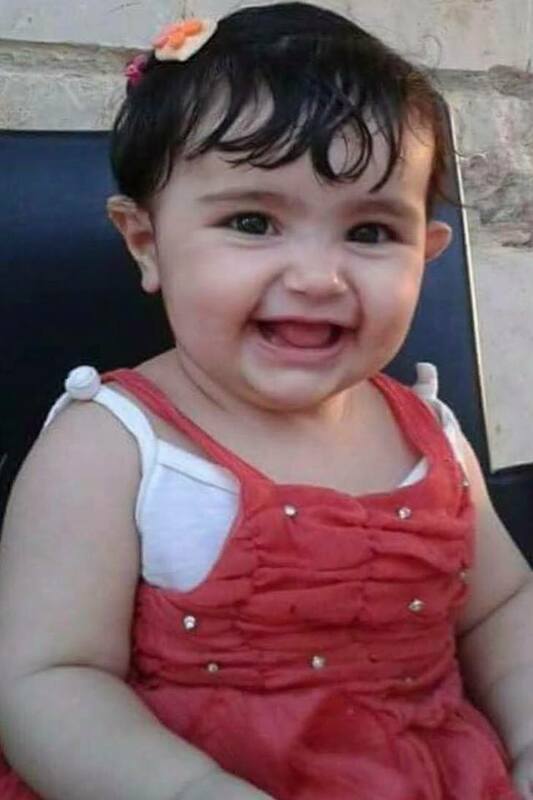 On June 6th – the first day of the assault – three children, including a baby named Jana Nour al Hariri were reported killed by a Coalition strike in the al Ferdos neighborhood of Raqqa. This marked a new and grim metric for measuring the toll in Raqqa: the number of children reportedly dying in air and artillery strikes. After seven weeks of fighting inside the city, the deaths of more than 119 children had been tied by Airwars researchers to likely Coalition actions. According to Airwars estimates, that number rose to at least 250 child fatalities by the time the SDF declared victory in October. On August 24th, the UN’s humanitarian adviser for Syria, Jan Egeland, urged the Coalition to consider a humanitarian pause. The Coalition refused, and suggested it would not consider any steps allowing ISIS to regroup inside the city. “The only way to save the people of Raqqa is to liberate them from the Islamic State,” wrote Lt. Gen. Stephen J Townsend, in an article responding to Airwars research. That same month, Airwars monitored at least 433 civilian deaths it considered the likely responsibility of the Coalition. In one of the worst reported incidents, at least 23 civilians were reported killed in an attack on Raqqa’s Bedo neighborhood on August 20th. More massacres followed in the coming days: On August 21st, the Syrian Observatory for Human Rights reported the death of 19 children and 12 women in the same neighborhood. Dozens more were killed in strikes that week. The US-led effort in Raqqa served two functions — to free local populations from ISIS rule, but also to prevent any fighters from getting away and, possibly, plan attacks against the West. These two stated goals — the protection of civilians, and the annihilation of ISIS in the context of a wider global war on terror — were not always in tune. In Mosul, noted Hassan, an escape route was initially left open towards the west, if only briefly. But by the time the siege of Raqqa began, “annihilation” tactics where being fully employed. The Coalition, for its part, has praised the SDF for protecting civilians while operating in an unforgiving urban environment. As the battle for Raqqa wound down in October, American officials boasted of the firepower still being unleashed on ISIS-held parts of the city. On October 9th, US special envoy Brett McGurk tweeted that 75 airstrikes had taken place over the preceding 72 hours (a “strike” can include many bombs and multiple targets). During that time period several civilian casualty incidents were reported. In one, at least nine civilians were reported killed in Raqqa when a Coalition strike allegedly hit a residential building. According to local accounts the dead had been displaced from Palmyra, only to be cut down in Raqqa a week before the fighting ended. The challenge for the Coalition and its local allies in the months ahead will be restoring hope to this shattered city.